Catholics in England had expected King James to be more tolerant of them. Unfortunately, he proved to be the opposite and ordered all Catholic priests to leave England. This angered a group of Catholics to the point that they decided to kill the king and put his daughter Elizabeth on the throne ensuring that she was a Catholic. 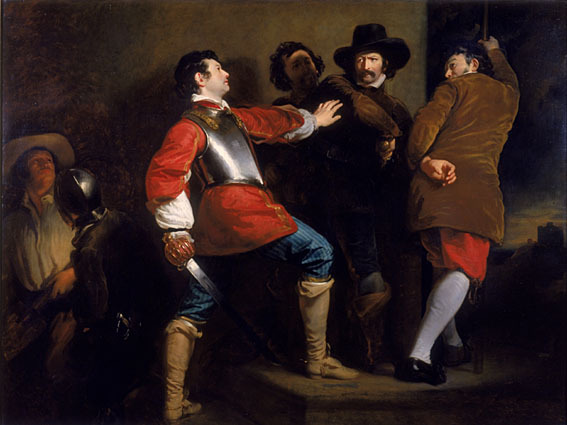 Their plot included not only the assassination of James, but of everyone sitting in the Houses of Parliament on November 5 when the king opened Parliament. 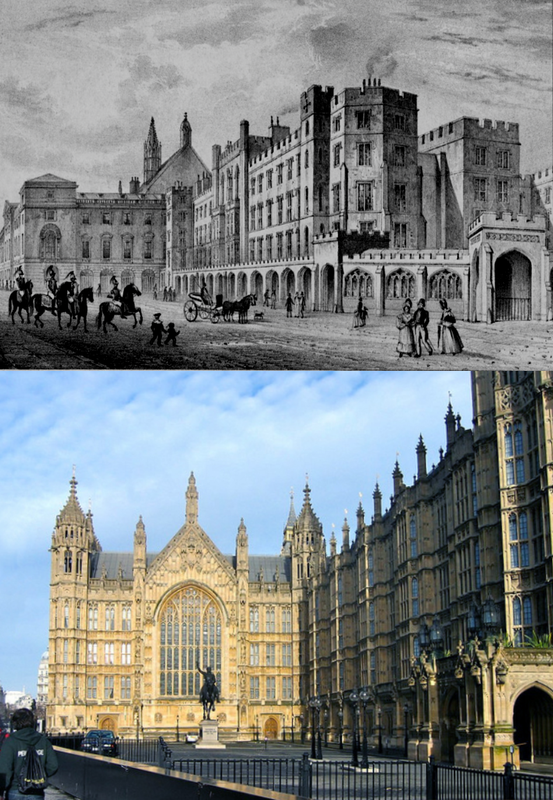 At about midnight on the night of November 4-5, Sir Thomas Knyvet, a justice of the peace, found Guy Fawkes lurking in a cellar under the Parliament building and ordered the premises searched. 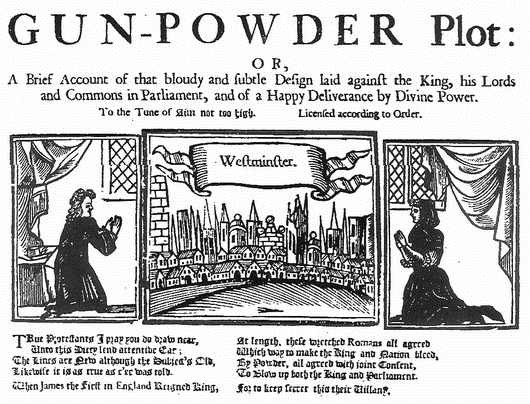 Thirty-six barrels of gunpowder were found, and Fawkes was taken into custody. After being tortured, Fawkes revealed he was a participant in an English Catholic conspiracy to annihilate England’s Protestant government and replace it with Catholic leadership. The explosive expert, Guy Fawkes, had been left in the cellars to set off the fuse. Fawkes was arrested and sent to the Tower of London to be tortured and eventually gave away the names of the fellow conspirators. Sir William Wade, Lieutenant of the Tower, had orders to use whatever means of torture was required to get information from Fawkes. Of those involved, some were shot as they were chased by the law such as Percy and Catesby. 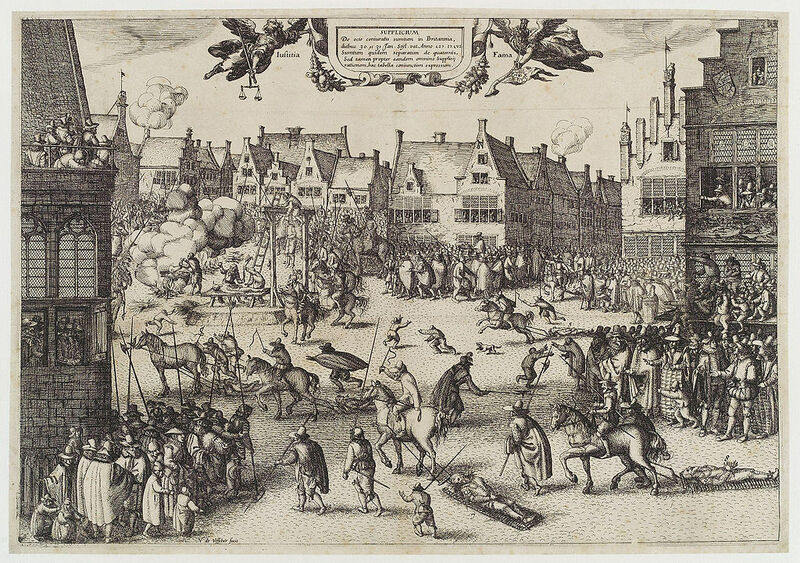 Others were captured, sent to the Tower and, after a brief trial, they were hanged, drawn and quartered, at the Old Palace Yard on January 31, 1606. In celebration of his survival, James ordered that the people of England should have a great bonfire in the night on November 5th. This fire was traditionally topped off with an effigy of the pope rather than Guy Fawkes. His place at the top of the fire came in later as did fireworks. The East Sussex county town of Lewes still has the pope alongside Guy Fawkes when it comes to the effigies being burned.